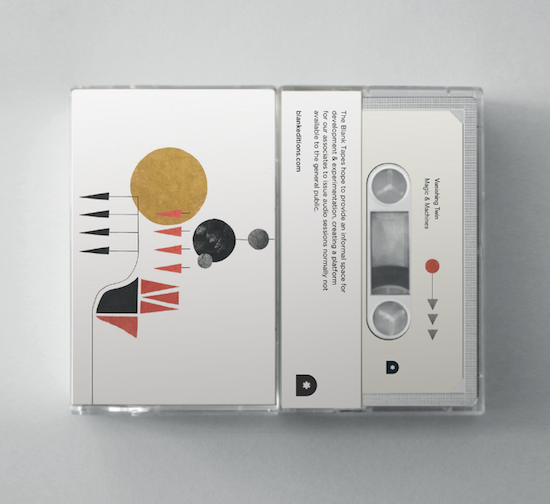 Experimental improvisers and cosmic pop group Vanishing Twin are back with a new cassette on Blank Editions and you can hear an extract above. Magic & Machines is out on 27 April via the Blank Editions' Blank Tapes series which specialises in releasing the recordings of R&D improv sessions, and it captures the band in fine, spectral form. The tape was recorded in one long take in a crepuscular session in a mill in Sudbury and has could be summed up by band leader, Cathy Lucas' sole incantation: "Strange feedback between magic and machines." The band have released a simple statement saying: "[There are] no pop songs here. This cassette is a window into our improv practice / deep listening / group therapy." The cassette is limited to 80 copies. 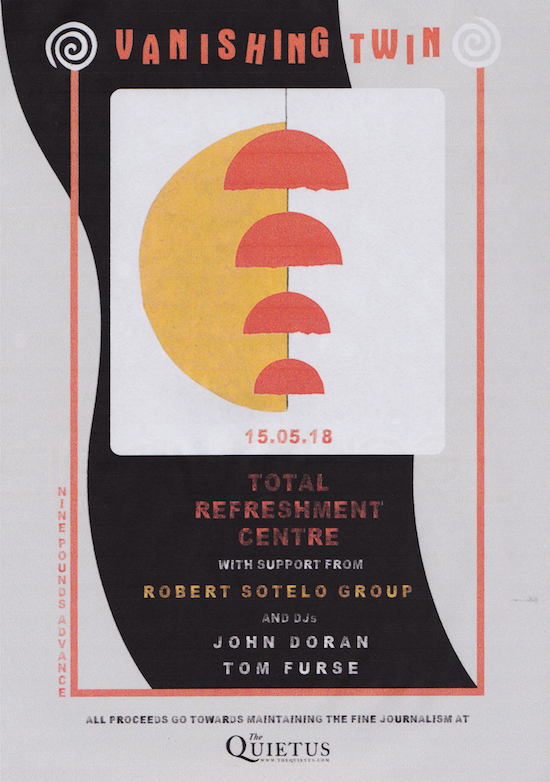 If you want to experience the magic of Vanishing Twin live you can do soon at Total Refreshment Centre, Hackney, London on May 15 where they will be supported by the Robert Sotelo Group, with Tom Furze from the Horrors & John Doran on the decks. Tickets are on sale now via DICE and priced at £9. Head here to snap one up, and help tQ raise money to continue supporting fresh and exciting new music. You can find the Facebook event page here.